Whether you are planning a full scale remodel of your home, building an extension or having a new driveway installed, you want to find the best builders possible in order to complete your job to a high standard. Sadly, there are some builders out there with a poor reputation who complete tasks of low quality and a high price, you naturally want to avoid these types of operations. 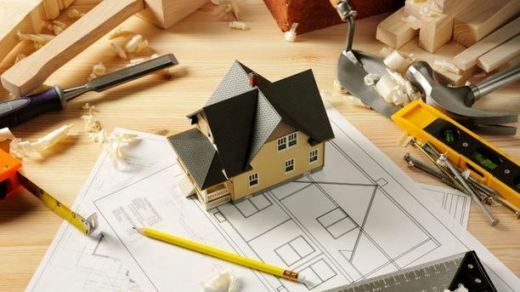 Searching for a high quality builder is actually not as difficult as one might think and as long as you approach it in the right way, you can find the best builder for you. Here are some tips on getting the right company. The internet should be the first place that you start looking, it has the most comprehensive list of reviews for a wide variety of builders and it is essentially the modern day ‘word-of-mouth’ recommendation. Search for builders in your area first. Once you have your search results, trawl through each one to see what people have said about the quality of their work. When it comes to pricing you will find that builders will vary greatly in how much they are willing to charge and in order to get the fairest price possible, you should get quotes from at least 3 companies. You of course want to avoid staggeringly high prices but you should also be wary if costs are too low, this could indicate the use of cheap materials or poor handiwork. Once you have your quotes, you should ask what is included in the price and ensure that you have a full understand for what you are actually paying for. Most legitimate building companies will factor all costs into one price, materials and labor as well as any extra costs should all be detailed on your quote before you enlist their services. It is important that you ask for references from any company which you are interested in using and you should also take the time to visit any past jobs which they have done. If possible, speak with previous clients to find out how impressed they were with the work that was done and whether they would recommend them. You are in control of this building project, not the builders and you both should agree upon a realistic timeframe for when the work will be completed. Complications can occur such as weather conditions changing and you ought to be flexible with any changes that take place, with that being said, you should also be able to have every confidence that the job will be completed on time. It is important that you not only have confidence in the building company that you use but also that you feel comfortable with the people who work for it. Depending on the size of your project you will likely be seeing a lot of the workmen and foreman and it is vital that you strike up a strong working relationship.